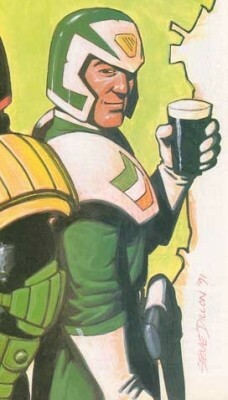 Powers/Abilities: Joyce is your typical Eire Judge; laid back and easy going. Still as tough as any Judge from another Mega-City mind, just not so stressed. Comments: Created by Garth Ennis and Steve Dillon.